Twenty three people on board of a small passenger plane have been killed after the aircraft crashed in mountainous western Nepal. The Twin Otter aircraft, operated by Tara Air, was travelling from Pokhara to Jomsom and lost contact with the control tower shortly after taking off. Most of those on board were Nepalis. It is not clear what caused the crash. The plane was carrying three crew and 20 passengers, one of them Chinese and one Kuwaiti. Nepal’s aviation industry has a poor safety record. According to Sanjiv Gautam, director general of the Civil Aviation Authority of Nepal, the plane’s wreckage was found near the village of Dana in Myagdi district. The aircraft lost contact with the control tower at Pokhara 10 minutes after take-off. The identities of those on board have yet to be released. Two of those on board were children. 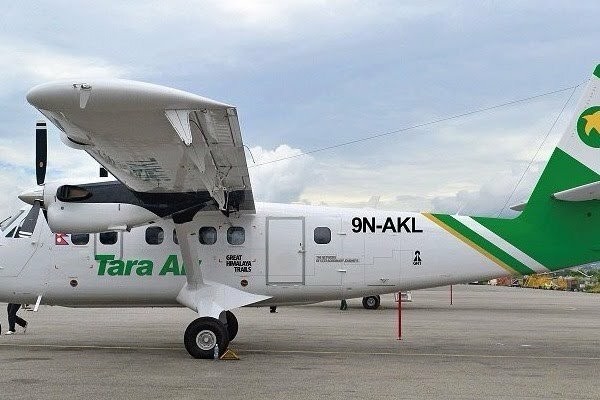 Three helicopters were sent to search for the missing plane, Tara Air said on its website, adding that “the weather at both origin and destination airports was favorable” for the 20-minute flight. Nepal’s army said, however, that fog had hampered the search for the aircraft. Pokhara is a resort town some 125 miles west of the capital Kathmandu. Jomsom, a short distance further north, is the starting point for many people trekking in the Himalayas. Nepal has a limited road network and many areas are accessible only on foot or by air. Since 1949, the year the first aircraft landed in Nepal, there have been more than 70 different crashes involving planes and helicopters, in which more than 700 people have been killed. Most accidents have been attributed to bad weather, inexperienced pilots and inadequate maintenance. In 2013, the European Union banned all Nepalese airlines from flying to its territory for safety reasons.